You are here: Home / New Zealand / A Novice Tramper in New Zealand – how to get on the trail safely! For a complete beginner, going from a casual day hike to a well-planned multiday tramp, as they are called in New Zealand, can be a daunting task. In this article, we will help you make the jump with advice on the essential backpacking gear that you will need to acquire in order to be safe, self-sufficient and comfortable. 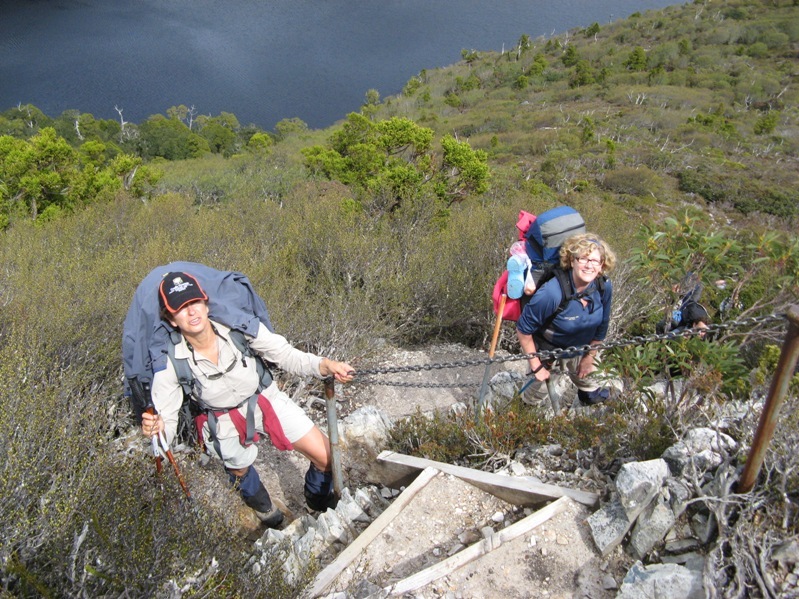 We will then focus on organizing a walk in New Zealand: with its majestic scenery, first grade tracks and handy backcountry huts, this is perfect tramper country, from beginner right through to expert. Don’t forget, you can pick up some cheap Auckland flights online and head off to the land of the long white cloud with your hiking gear. As a tramper out on a multiday hike, your average load will probably be around 10-15 kg. To make the heavy load bearable, it is essential to have a comfortable pack. A hip belt is a must have. Prefer one that is wide and well padded. Pick a pack that also has a good adjustable back harness. 60-70l is a good size for most people. Make sure the fabric, zips and buckles are sturdy. Never buy a pack without trying it on first, and never try it on empty. Ask a salesperson to help you adjust the belt and straps if you’re unsure of what you’re doing. Don’t forget the accessories. Some packs come with an integrated rain cover, but many don’t. Make sure to get one, and grab a pack liner as well in order to make your pack as waterproof as possible. There’s nothing like a good night’s sleep to make you feel good. 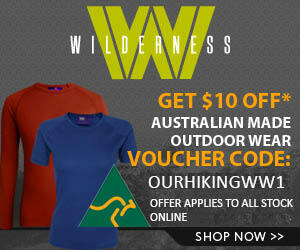 And if you want to have any of those when out in the bush, you will need to get a good sleeping bag that will keep you safe and warm. Down bags are the warmest, the lightest and the most compact. Unfortunately, they are expensive and won’t keep you warm when wet, a problem that is made worse by the fact that they take a long time to dry. Synthetic bags are cheaper and will retain heat even when they are wet. They also tend to dry more quickly. However they are both bulkier and heavier than down bags of the same temperature rating. Make sure the temperature rating of your bag abides by EN13537 norms otherwise it may be wildly optimistic. The rating should give you temperatures for comfort (relaxed sleep), lower limit (sleeping curled on yourself for extra warmth) and extreme (survival). For 3-season use in New Zealand, try to pick a bag rated 0°C to -5°C. If hiking as a couple, try to get a left zip on one bag and a right zip on the other. This way you’ll be able to zip your bags together. If you only intend to stay in popular, pre-booked Great Walk huts, packing a tent and mat is not necessary. If you intend to stay in more remote huts, it is recommended to take a tent and mat in case the hut turns out to be full, or an emergency arises. Camping is the alternative of choice for those who are on a budget and/or want to get away from the crowds. Choose a 3-season tent that is well-ventilated and truly waterproof (>5000 mm water column). Check the dimensions to make sure you can both lie down and sit up inside. Roomy vestibule(s) are a big plus for pack storage and/or cooking in bad weather. Regarding weight, aim for a tent that works out at 1 kg/person, i.e. a 2-person tent should be around 2 kg. Consider getting a groundsheet, or footprint, to further waterproof the tent floor. A sleeping mat is essential for comfort and to insulate you from the cold coming from the ground. You can get either a foam mat that is light and cheap but bulky, or an inflatable mat that is heavier and more expensive but more compact and more effective. Footwear. Get proper tramping boots that will support your ankles. Full leather boots will be the most durable and the most water tight, but they are also the heaviest and the most expensive. Lighter Gore-Tex boots may be a better alternative. Consider bringing along a pair of sandals for creek crossings and relaxing at camp. Clothing. Always be prepared for the weather to turn nasty. Clothes that will keep you dry and warm are essential: always take a good waterproof jacket with a hood, a warm jumper and a beanie. If you’re heading for the mountains, add thermals, gloves and gaiters. Always pack spare clothes so that you can change into something dry to sleep. Prefer fabrics that will dry quickly (jeans are a no-no). Miscellaneous items. Map, headlamp, first aid kit, toilet paper, rubbish bag (everything must be carried out)… make a list and double check before you go! With the gear out of the way, you will then be able to concentrate on organizing your walk. There is one warning to keep in mind before you fly to New Zealand: they take biosecurity seriously. Declare all tramping and camping gear to customs. The easiest way to go through quickly and with no drama is to clean all your gear beforehand – be especially mindful about soil left on tent pegs or boot soles. If your gear isn’t clean enough, you may be in for a wait as it gets fumigated. The country has 3 main international airports: Auckland and Wellington on the North Island, Christchurch on the South Island. From Australia, you may also catch direct flights to a few smaller airports: Queenstown and Dunedin on the South Island, Rotorua and Hamilton on the North Island. Connecting domestic flights service a number of other cities such as Nelson, near Abel Tasman National Park. You can also get around by rental car or bus. If planning your trip in advance, Naked Bus will provide unbeatable fares based on a simple principle: the earlier you book, the cheaper you travel. Great Walks and other popular tracks can be accessed thanks to shuttle buses that will drop you off and/or pick you up at trailheads. Just ask the local information center (i-site) for a list of operators. Although the romance of setting off into the bush for a few days might trick you into thinking you can just go without further ado, this is not quite true: on-track accommodation will usually need to be sorted beforehand. If you’re doing a Great Walk, you will need to book everything in advance, whether you’re staying in huts or on campgrounds. This also means you have to work out your itinerary first, as you will need to know at which site you will be staying each night of your walk. Booking is easy to do online on the DoC website. In New Zealand, you may also book your walks from any i-site, and take the chance to pick up advice at the same time. Make sure you book early to avoid disappointment if you intend to do the most popular tracks during peak season: the Milford, for instance, is fully booked months in advance. Outside of Great Walks, things are a lot more laidback and aside from a few exceptions there is no booking system. 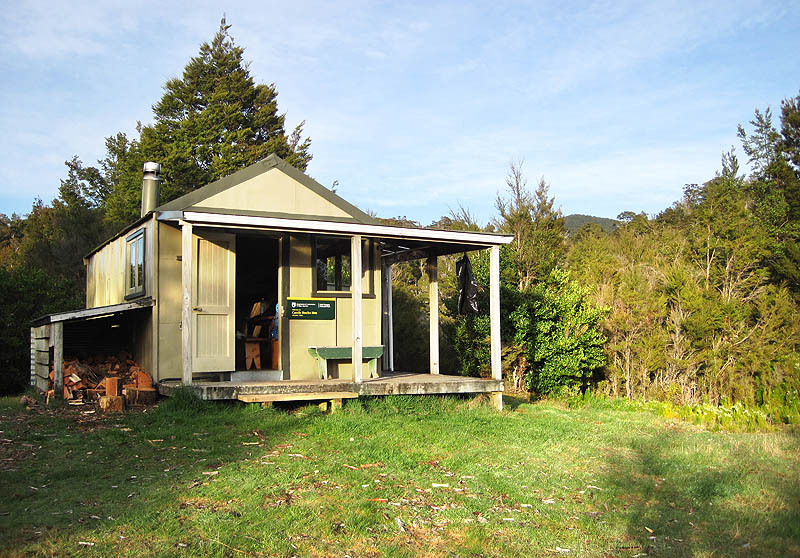 Huts are split into 3 categories: basic (bunks, water supply), standard (+ table and benches, wood heater below bushline), serviced (+ heating and sometimes cooking stove). Basic huts are free, but to stay in other huts you will need to pre-purchase nightly Hut Tickets (NZ$5 for standard huts, NZ$15 for serviced huts) or a Hut Pass (NZ$122 for 1 year or NZ$92 for 6 months). Tickets and passes can be bought from i-sites, DoC offices and many camping stores. Neither the tickets nor the pass guarantee you a spot in the huts – outside of Great Walks, huts work on a first come, first served basis. If the hut happens to be full, you’ll have to try to squeeze in or put up your tent outside instead. You can camp on those non-Great Walk tracks for free most of the time. The only exception is camping by a serviced hut, which is charged NZ$5 a night. All campers are welcome to use hut facilities. Always make sure you have everything before you go – checklists are a must. Pick a track suited to your fitness and experience level – if in doubt, start with an easy Great Walk then gradually work your way up to harder tracks. New Zealand is not a flat country, so always be prepared for steep bits, even on easy walks. Estimates given on signs are always for actual walking time, and don’t account much for dallying and taking longer breaks. Be mindful of the weather – if the forecast is for heavy rain or other difficult conditions, you may want to reconsider going, especially if the track involves creek crossings. Rivers are dangerous – if in doubt about your ability to cross safely, turn back. Never go into a flooded river. Take at least a day’s worth of extra food – if you get stuck, you’ll be happy you did. Make your intentions known – give your full itinerary and due date to a trusted person so they can sound the alarm if you don’t make it out in time. All huts have logbooks, make sure you leave an entry in all of them so that rescuers may find you more quickly should an emergency arise. That’s it – you are now fully equipped to start your own adventure in the wilds of New Zealand. Make sure it’s a good one! Have we overlooked or missed anything? 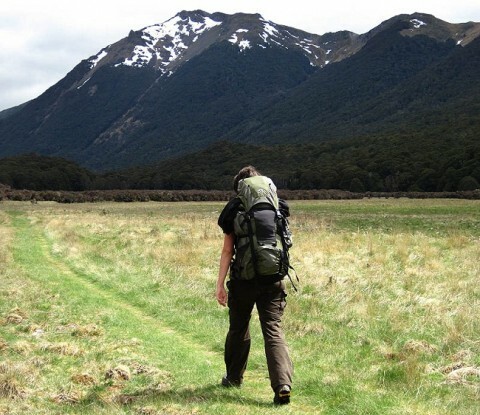 Have you tramped in New Zealand? We would love you to share your experiences, shoot us a comment below. Stephanie Cotteret is a freelance travel writer and photographer who is currently enjoying many “tramps” in New Zealand. She is a regular contributor to Australia-Australie.com , France’s leading website for Working Holidaymakers and backpackers. Check out her photography portfolio online , or contact her on toothbrushnomads[at]gmail[dot]com. Great and sound advice! I haven’t done any multi-day tramping, but I did do quite a few one-day tramps when I was in New Zealand last January and LOVED IT! Everything is so well marked, plenty of useful information, transportation pretty easy to work out… a hiker’s paradise! It is isnt it! It’s a great place to go and experience some of natures finest moments without removing yourself entirely from civilization! PS: what is a pack liner and why would one need it (and how?)? Packs aren’t waterproof, so they need something in addition. One way is to have a tough plastic bag ( a pack liner) inside the pack which contains everything that needs to be dry. An alternative is to use multiple bags. A modern innovation are dry bags (see http://www.seatosummit.com.au/showproduct.php?Category=Dry%20and%20Storage%20Sacks) which are very waterproof and these are excellent for keeping your sleeping bag and dry clothes. Most hiking supply shops and DOC in NZ sell heavy duty pack liners for around the $10.00 mark. Expect rain (especially in Fiordland) and expect to get soaked to the skin, and wear damp or wet clothes the following day. Be fitter then you think you need to be. And expect to get very sore knees on the downhill parts, also a blister or two!! Its all totally worth it but!! I know there are different schools of thought on the portable shelter thing for Great Walks, but I guess I fall into the camp of still seeing it as risky to not have independent shelter at any time, even when there’s no intention of using it. Huts are nice to have, but even Great Walk huts won’t stand up and chase you if you injure yourself or happen to get lost, and every so often people do still seem to get lost from Great Walks … these two were just very lucky their cellphone still worked. As importantly though, I think more than a few people who start with Great Walks tend to get themselves into a habit of not taking shelter on other trips, too, and it’s a risky habit to be in. Thanks for that valuable information. Here is Oz, on tracks like the Overland Track where there are huts, it is still good practice to carry a tent. Totally agree with your views, thanks for sharing them! I thought the article was very insightful. we are going to take our 10 and 11 year old boys and do the thorsbourne trail on hinchinbrook island in september. my husband and i did it before we had the boys and have since looked forward to the opportunity to take them. we have not done any hiking with them before. they are fit and quite adevturous so we are hoping that they will rise to the occasion. the article was great as a first check list of equipment that i need to organise. Has anyone done the thorsbourne trail with children before? We say a few children walking when we were there. There are lots of great spots to stop and have a swim (and cool down) They will love it! Watch out for the sandflies. Did you see these articles? http://ourhikingblog.com.au/category/hinchinbrook-island/page/2 We did it with a couple of our kids and a cousin. You have put together a great summary. 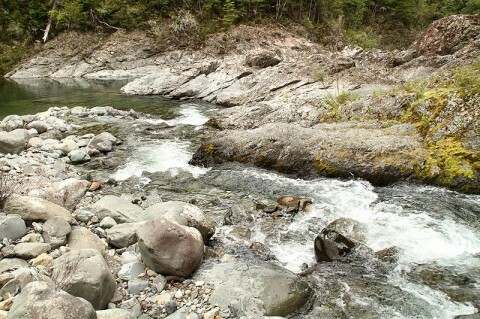 My favourite walk in NZ is out of Makarora and into the Siberia Valley – is that where the first pic is from? The thanks go to Stef, she put together this piece from very recent personal experience. Glad you enjoyed it! I’m Stef, the author. The first pic is actually from an easy hike into the Cobb Valley, Kahurangi National Park. I’ll have to look up Makarora & Siberia! Hey Stef, sorry, I should have “bolded” your name. Great job thanks, much appreciated. Would like to see a similiar topic for the different States in Australia given that airfares are a lot cheaper than they used to be! Its the little things you need to know in terms of what to bring or not for local conditions, transport options for those not relying on a car, useful weblinks & so on… a lot of which doesnt get a look in on tourism sites. For example how does one get to Wilson’s Prom without a car? Which walks are a must whilst in Tasmania given x number of weeks? Wow, what an idea and what a stack of work! We created our eBook about the Overland Track for that very reason. It was so hard to find information all in one place about doing the Track. The next one in planning is the Great Ocean Walk in Victoria. Unfortunately, between working and life there is not a lot of time to write it but it is getting there! We also have Wilson’s Prom in mind as a future book too. Oh, and I forgot, (this one won’t help in Australia) we have one other one in the pipeline bout Trekking to Everest Base camp – have a family connection with the author and he has written a great guide. It is nearly with the designer now to create it into an eBook. consider taking a mountain radio http://www.mountainradio.co.nz/ you can call for help if needed and have the added benefit of being able to hear a weather forecast. Or look into hiring a satellite beacon so you can summon help. Happy Trails. Great beginners article! Thanks for your excellent advice, great links and valuable information. Happy trails back at you! Would love to see a photograph of you in the Indian tent! Sounds like fun. The Great Ocean Walk book has been a bit stalled by the interruption of work (read making a living) It will get done! The Everest Base Camp one should be ready in a week or two…..
Would love to try an NZ trip. Do you ever have any issues with Customs when coming back into Aus? I always see hikers having their packs ransacked in the airport to check for mud on their gear when i return to Aus from an O/S trip. I finished the Overland Track a week ago (my first multi-day hike). My biggest problem was my pack. I tried it in store; It was perfect (Osprey Aether 85). However, on the trail, things turned out to be quite different. 1) I did not account for weight loss before/ during the hike. I shed several kilos leading up to the 7 day hike and more on the trail. So my hip belt was slipping and i could not tighten it any further. This meant that all the weight in my 24kg pack was on my shoulders. After several hours of walking in that config, my shoulders were in agony. 2) I did not try the pack in the store WITH trail weight. Sure they put some padding and a little weight in there, but even when i was training with 18kg for a couple hours, it didn’t come close to preparing for 6-8 hours with a 24kg pack, day after day. Some might question my 24kg pack for a 7 day hike. Im a photographer, so my DSLR comes with me everywhere 😉 There’s at least 2kg. Coming back from NZ, customs will probably want to look at your tent, and your boots/shoes, and nothing else. So make sure those are accessible and it will be fine. They definitely have a look going into NZ, including vacuuming out the tent. I think it might depend strongly on the port of entry, but others’ experiences may vary. I always prepare for Australian biosecurity when flying into Melbourne, but I generally find they have little or no interest. I’ve been growled at by a Melbourne Airport agent for trying to declare boots, as if I was wasting his time! And these were boots that were still damp, albeit because I’d been up until 2am scrubbing them with detergent, but he wasn’t even interested in asking or checking. I expect the biosecurity at Hobart might be more concerned, especially if they know you’ve come from NZ, since they’re paranoid about Didymo, for good reason. I think if you didn’t declare or didn’t clean and were caught out, you could run into problems, but in my experience so far it’s much more casual than entering NZ, where they’ll check things quite carefully every time.